Drink lots of fresh orange juice. Believe it or not, perhaps one out of three women isn’t getting enough vitamin C, says Carol Johnston, PhD, assistant professor of food and nutrition in the family resources department at Arizona State University in Tempe. Vitamin C helps produce carnitine, a molecule that helps your body burn fat for energy. „People likely have up to a 50% drop in muscle carnitine levels when they’re vitamin C-depleted,“ she says. 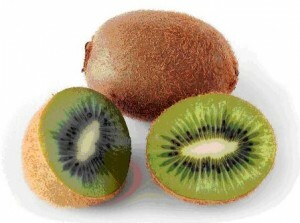 Johnston thinks 200 to 300 mg daily is enough for you to feel more energy, assuming that you were short on C. You can get that much without supplementing if you drink orange juice (one 8-ounce glass a day) and eat a diet high in vitamin C-rich foods, including kiwifruit (70 mg per fruit), raw red or green bell pepper (142 mg and 60 mg per 1/2 cup, respectively), broccoli (51 mg per 1/2 cup cooked), strawberries (49 mg per 1/2 cup), and brussels sprouts (48 mg per 1/2 cup cooked). Be sure to get enough iron. Iron is a must mineral for energy because of its role in transporting oxygen via red blood cells to wherever it’s needed in the body. Too little iron creates a cascade of problems that end up lowering your metabolic rate—and your energy levels. A lot of women aren’t getting the 18 mg a day of iron they need in their diets. A half-cup of soybeans contains 9 mg of iron; a half-cup of baked beans, 8 mg; a half-cup of spinach, 6 mg; 3 oz. of beef, 5 mg; and 3 oz of fried oysters, 6 mg. If you think you’re anemic or have significantly low iron levels, see your primary-care physician before taking iron supplements. Hold the pancake syrup. Sweet breakfasts are an energy disaster, since nothing plummets your blood sugar faster (after an initial boost) than concentrated forms of simple carbohydrates like corn or maple syrup. Pouring one of them over refined carbohydrates like white flour pancakes or waffles exaggerates the effect. Whittle warns that any sweet topping with corn syrup in it—like the typical maple-flavored syrup or a lot of jellies—is an especially good bet to spike-and-dip your blood sugar to lethargic levels. So try some healthier and more energizing alternatives, she suggests. Go for French toast made with whole grain bread and egg substitute, or use a whole grain flour like buckwheat in your pancake or waffle mix. Top them off with your favorite fruit instead of syrup. Reach for some protein. While fruit and whole grain cereal are fine morning choices, your breakfast carbohydrates still need to be balanced with some protein foods for more enduring energy, Whittle says. The fat-free milk or low-fat yogurt you add to the cereal will work. Or go for eggs or egg substitutes with an English muffin or a slice of whole grain toast. Stock up on oatmeal. A fiber-packed whole grain cereal, oatmeal is your best breakfast choice for long-lasting energy, says William Evans, PhD, director of the nutrition, metabolism, and exercise laboratory at the University of Arkansas for Medical Sciences/Veterans Affairs Medical Center in Little Rock. Evans credits oatmeal’s energy-boosting ability with its soluble fiber content. Much more than the insoluble fiber in, say, wheat bran, the soluble fiber in oatmeal slows down carbohydrate absorption, thus keeping your blood sugar levels more constant. Both oat bran and rolled oats are high in soluble fiber, so on mornings when you don’t feel like eating oatmeal, try oat bran muffins. You don’t need a PhD in biochemistry to know that food is fuel and that it affects our energy levels. But you have to be smart if you’re eating for energy. „Certain eating strategies will definitely help you ward off fatigue,“ says Stacey Whittle, RD, a registered dietitian at the University of Southern California in Los Angeles. 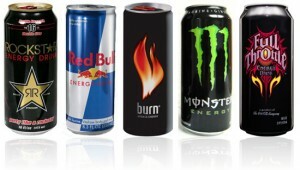 Ironically, the very food we so often rely on for quick energy—concentrated sources of sugar, like candy bars or soda—are the very foods that you should avoid if you want enduring energy, say experts. Here’s why: Your body uses food for energy by turning it into blood sugar, or glucose. Carbohydrates convert most easily into this ready-to-burn fuel, making them your macronutrient of choice for energy eating. The problem is that some simple carbohydrates, like sugar, tend to break down so fast that, after providing a short-lived burst of energy, they leave your blood sugar levels low, your energy inadequate, and your plans for the day unaccomplished. Complex carbohydrates, like grains, replace this spike-and-dip act with a steady energy supply that keeps you going at full throttle. You don’t have to radically change your diet to include nothing but high energy foods to ratchet up your energy levels. Chances are, you’re already eating many of the foods best suited for daylong energy. 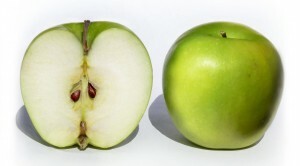 It’s simply a matter of eating them at the right time, in the right amounts, and in the right combinations. What’s the ideal mix? High (but not exclusively) carbohydrates, moderate protein, low (but not no) fat. Think of a turkey sandwich with low-fat mayo, a small serving of spaghetti and meatballs, or a bowl of chili. Distribute your calories equally among breakfast, lunch, and dinner. A skimpy breakfast, a hurried lunch, and a huge evening feast is about the least energy-efficient eating schedule imaginable. „What do you need all those calories for if you’re going to bed?“ says Debra Wein, RD, cofounder of Sensible Nutrition Connection in Hingham, Massachusetts. „Anybody who’s ever done justice to a Thanksgiving dinner knows that you get tired when you overstuff,“ says Ann Grandjean, EdD, director of the International Center for Sports Nutrition in Omaha, Nebraska. Never, ever skip a meal. „Many women skip breakfast,“ Wein says. „And some may even skip lunch because they think it will help them lose weight.“ But by skipping breakfast or lunch—or both—not only are you depriving your body of calories just when it needs them the most, you’re also likely to compensate with a lethargy-inducing pig-out when you do eat. So much for weight loss! „And if you keep skipping meals, the result over time is a general malaise,“ Wein says. Eat five meals a day. The experts favor adding a midmorning and midafternoon snack to your daily meal schedule, and downgrading your other three meals accordingly to keep your total calories where you want them. This mini-meal plan is a super energy booster because you’re getting energy into your body right when you need it, you won’t be going too long between meals, and you’re less likely to overeat or undereat. „If you watch your portion size and take time for that midmorning and midafternoon snack, you’ll be surprised at how positively your energy levels are affected,“ Whittle says. Wein suggests the following energizing calorie allotments: If you’re a fairly typical weight-watching woman, your calorie count per day will probably fall between 1,400 and 2,000. If you’re at the higher number, shoot for 500 calories at breakfast, lunch, and dinner, with midmorning and midafternoon snacks at 250. If you’re down at 1,400 total calories, your meals should be 400 calories each, with two 100-calorie snacks. Bioflavonoids, also sometimes referred to as “vitamin P,” are super-antioxidants found in many natural foods. Scientists have found that bioflavonoids have specific capabilities to increase bodily health in many different ways. They support strong cell formations and, according to some medical services, even suppress poor cellular growth in order to deliver an anti-carcinogenic effect. Bioflavonoids contribute to good heart health, and combat atherosclerosis, as well as conditions like Alzheimer’s disease. Bioflavonoids are found in many of the same foods that contain vitamin C, an essential nutrient for the daily diet, and these super antioxidants complement vitamin C, enhancing its effect on the body. Fresh fruits and vegetables are generally the top choices for getting plenty of bioflavonoids in a diet. Here are some of the most popular ways to get the most of these helpful nutritional elements. Red Bell Peppers or Sweet Peppers – Red peppers contain three times more vitamin C than orange juice, according to some medical sources. Scientists agree that raw bell peppers are an effective way to get bioflavonoids into the system. 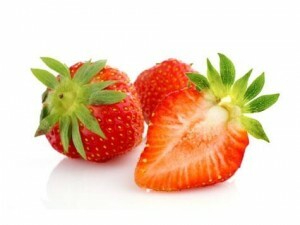 Strawberries – These luscious red berries are a great source of bioflavonoids. Other berry types are similarly rich in these kinds of antioxidants. This leads to specific claims of health benefits for berry-made wines and derivative foods. Citrus Fruits – Oranges are a significant source of bioflavonoids. Lemons and limes, as well as peaches, nectarines and other fruits all contain vitamin C and bioflavonoid superoxidants. Brussels Sprouts – For a hearty meal, include these cabbage type sprouts. 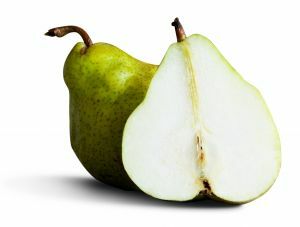 Rich in antioxidants, they are also packed with their own unique taste for a delicious way to get bioflavonoids and vitamins. Spinach – Popeye wasn’t kidding: this stuff has all of the qualities you would associate with a green vegetable rich in antioxidants. Spinach is a good all-purpose nutrient – try it in place of lettuce for a salad that’s bursting with nutrition. Teas – Green tea and other teas are known to have a lot of powerful chemical elements that contribute to longevity and good health. Lots of health minded caffeine drinkers are switching from coffee to tea to get the effects of essential vitamins in their morning drinks. These are just some of the top producing fruits and vegetables that deliver bioflavonoids and vitamin C to the table. Vitamin rich foods are always more effective in their raw form, so be aware of the difference between buying and using fresh produce, and eating these foods canned, cooked or processed. Overall, look for colorful, fresh fruits and vegetables to benefit from a diet that will contribute to your health in many ways. If you exercise in the morning, get up early enough to finish breakfast at least one hour before your workout. Most of the energy you got from dinner the previous night is used up by morning, and your blood sugar might be low. 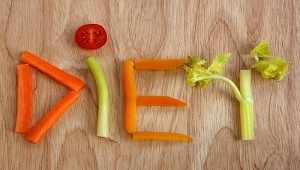 If you don’t eat, you might feel sluggish or lightheaded when you exercise. Berries are low in calories and rich in vitamins and minerals, as well as antioxidants and phytonutrients, which have been shown to protect against heart disease and some cancers. Try adding a cup of fresh or unsweetened frozen strawberries, blueberries, or raspberries to your morning cereal, oatmeal, or yogurt. While cold cereal has been vilified in recent years for its sugar content, there are nutritious options out there. Check the ingredient lists and nutrition-facts labels and look for cereals that have at least 3 grams of fiber and 6 grams or less of sugar per serving. Also, choose cereals that are made with whole grains and that have sugar low on the list. Green tea is rich in antioxidants called catechins, which have been shown to prevent cell damage to the body. Blatner suggests steeping green tea 4 to 5 minutes to release the catechins. Another benefit is that green tea has about two-thirds less caffeine than coffee does. “You can still get a little pick-me-up without all the caffeine,” she says. Oatmeal is packed with soluble fiber, which helps lower cholesterol and regulate blood sugar levels, and which can keep you satiated for hours. Avoid high-sugar instant packets and opt for the plain ones, or try rolled (old-fashioned), quick, or steel-cut oatmeal prepared with low-fat milk or water. “Two ideas for oatmeal that I usually give people are natural peanut butter stirred in with some chopped-up bananas or mixing chopped apples with uncooked rolled oats and milk to make a muesli,” says Blatner. Natural peanut butter is a good source of monounsaturated fat, which may help lower bad cholesterol in the blood. (Look for a brand that contains peanuts and not much else.) It’s also a good source of protein and can help you feel satisfied without becoming stuffed. Moderation is key, so limit your portion to 1 to 2 tablespoons per sitting. Smoothies are an easy and delicious way to meet the recommended daily servings of fruits and vegetables. Start with a protein-rich base of low-fat milk or plain yogurt, then add unsweetened frozen fruit, such as berries or bananas. If you’re feeling adventurous, throw in some flaxseed for its omega-3 fatty acids or a handful of kale. Compared with refined white bread, whole-grain varieties are a better source of fiber and many nutrients, including iron, B vitamins, and vitamin E. They’ve also been shown to lower the risk of a number of chronic diseases such as heart disease and type 2 diabetes. For breakfast, try a whole-wheat English muffin or toast. Yogurt is packed with filling protein and bone-building calcium. Blatner suggests buying plain yogurt and adding your own sweetener. “The fruit-flavored ones have a lot of sugar that’s added. It would be better to get plain and then add a teaspoon of honey,” she says. Don`t think that just because you started going to the gym and doing weight-loss wxercises, you will automatically start losing weight. For a period of 16 months researchers from the University of Kansas observed a group of young people who where doing exercises. Exercising was held regularly and was observed. The diet was not specified by the scientists and each participant was eating at his/her own discretion. It turned out that young people didn`t make any changes in the ratio of fat, protein and carbohydrates in their food. Women in particular were making the following mistake: they thought that increasing their physical activity allows them to eat everyting that they want. So then everybody was weighted, it turned out that men lost an average of 10 lbs. and the women didn`t lose any weight. There were even women who gained weight. When discussing the food the participants were consuming during the experiment, it become clear that women didn`t think about the number of calories in the food they were eating and consumed around 700 calories more tha usual, while men did much better by consuming just 200 calories more. According to the scientists, this experiment is a proff that despite the increased physical activity, wrong diet will always prevent you from losing weight. This is why the experts think that planning is very important as to the people who want to want to lose weight, as well us to the ones who want to gain muscle mass. As boring as counting calories is, it important to know how many calories you are taking with your daily meals and how many calories you are losing while exercising or performing other activities. Think about it – the difference of 500 calories a day between the both sexes is the reason why the women in the experiment didn`t lose any weight while the men did better (but no by much). Phytases belong to the class and subclass of hydrolases phosphatases that catalyze the hydrolysis of monoesters of phosphoric acid. Phytase performed stepwise cleavage of orthophosphate ions of phytic acid to form as intermediates in the penta-, tetra-, tri-, di-, and inositol monophosphates (Nayani NR, Markakis P., 1986). In accordance with the International Nomenclature of enzymes IUPAC-IUBMB three types of phytases: 3-phytase, 5-phytase and 4/6-phytase. Phytase types begin the transformation of phytic acid hydrolysis of an ester bond at different carbon atoms inositol ring, resulting in the formation of various isomers lower inozitolphospate. Phytate hydrolysis mechanism and the structure of the protein molecules of the same type phytases may vary. Phytase of the same type can be attributed to the acidic, neutral or alkaline phosphatase, according to the optimal pH level. Phytase (myo-inositol-1,2,3,4,5,6-geksakisfosfat-fosfogidrolazy) – a group of enzymes belonging to the subclass of phosphatases carrying release of at least one phosphate ion from the molecule of phytic acid. Hydrolysis of phytic acid formed the lower, ie containing less than six residues of phosphoric acid, inozitolfosfaty, inositol and inorganic phosphate, as well as associated with phytates released cations. Let’s talk more about different ways to improve your looks. Of course, we know that all of you want to look better and there is always something to improve in yourself. Some foods have such a low energy content that you can eat large quantities of them without risking weight gain. Here’s how to use these foods to your advantage. Slimmers are always on the lookout for quick fixes to help them in their desperate quest to lose weight. A popular subject is the use of ‘negative-energy foods’ or so-called ‘free foods’. As the latter name implies, these are foods with such a low energy content that you can eat large quantities of them without risking weight gain. Sounds like magic, but when you see the list of foods, you’ll realise that you can’t survive on these foods alone. Diabetics and other people who have to control their food intake carefully will be acquainted with so-called ‘free foods’. According to Krause’s Food, Nutrition, & Diet Therapy (Mahan & Escott-Stump), a ‘free food’ is defined as “any food or drink that contains less than 20 calories [84 kJ] or less than 5g of carbohydrate per serving”. Clearly, no person can exist and do a day’s work if he or she only eats the foods listed above. For example, to obtain just 4200kJ or 1000cal from eating strawberries only, you would have to eat 3.3kg of these berries. Even when you’re slimming, it’s important to eat a varied, balanced diet and to obtain enough energy from your diet to sustain your basic energy needs. This will prevent your body from going into starvation mode and will also make it possible for you to do some physical exercise to stimulate weight loss. These negative-energy foods can be used to give variety to your diet, to increase nutrient intake (most of the fruits and vegetables listed above are rich sources of vitamins and antioxidants) and to fill out meals. Free foods are also excellent for preventing cravings, so use them as low-energy snacks whenever you feel peckish.